Kat's Blog: Season 3 Poster! 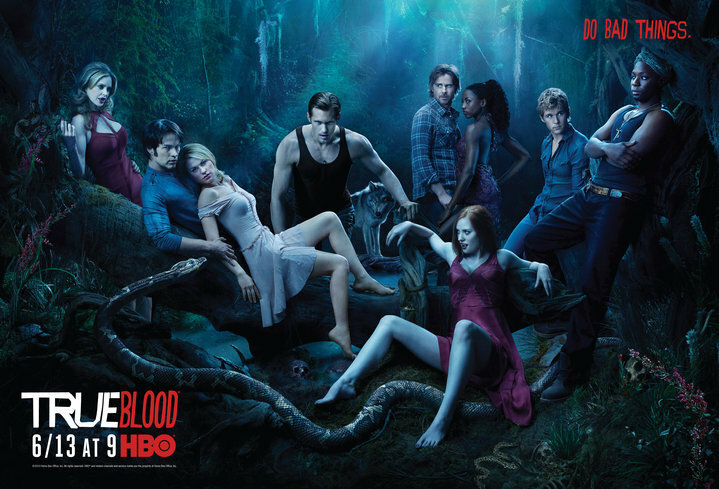 Anyone who knows me knows I am a total True Blood fan. Ergo, I have to share this hot new poster that promo's season 3. I can't wait for June 13th when season 3 starts on HBO. I got cable just so I could watch True Blood. I love the character of Eric and Alexander Skarsgard is uber hot. But, if you notice the people in the poster, Pam is looking really good too and so is the character of Jessica. You sound like me where SGU (Stargate Universe) is concerned! LOL We do love our shows don't we?